A first order endfire beamformer is used extensively when the desired noise source is anti phase to the desired signal using differential beamforming. It is however also desired that in the absence of such interfering signal, the algorithm should afford some performance improvements with regards to uncorrelated noise. The signal to noise ratio improvements using differential beamformer is different from the conventional delay and sum beamformer. We derive the expected SNR gains for uncorrelated noise on two microphones. The SNRI improvement is a function of only the separation distance . 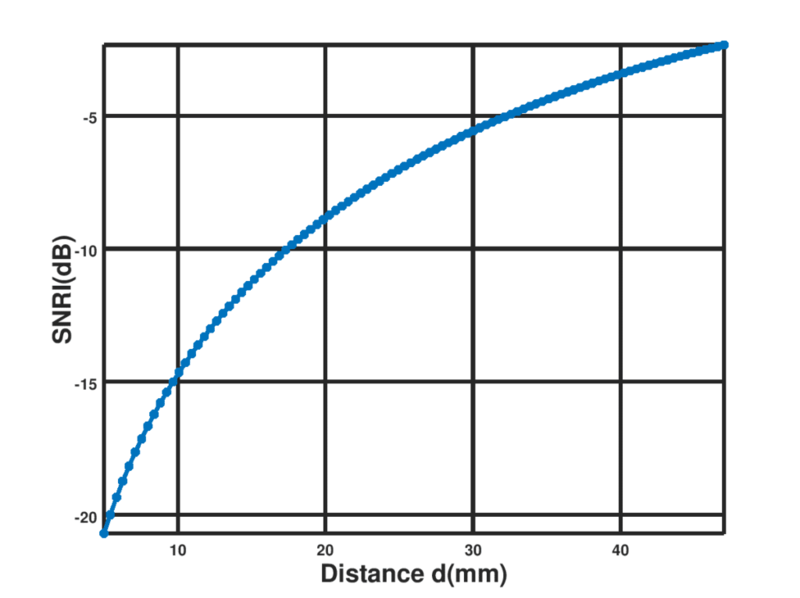 A sample expected SNRI at a frequency of is shown in Figure 2 below for different separation distances d. The desired direction is . It can be seen that the SNRI degrades smoothly as increases but there are periodic distortions if a large value of $d$ is utilized. Thus, the magnitude of plays a huge role in the expected SNRI.